Dharma Road Documentary - "Dharma Road"
If you want to imagine something really ridiculous it's a sixty year old woman dancing in the kitchen to heavy metal. Lucinda has an incredible, rough voice that sounds like she's been through the Hank Williams school of hard knocks. She sounds like I feel-- like someone waking up with a hangover. Somehow it shakes me loose and gets me downstairs to face the lions waiting to devour me. When I finally slip into an editing groove it is like having my consciousness taken over by a zombie. I sit for hours staring into a screen working on the same segment over and over until I've got it the way I want. Often I don't get up for hours at a time which is really bad for you. I've been spending several nights working until 4 am. The submission date for the Denver Film Festival is June 30th so I'm laying the pedal to the metal these days and living the life of a crazed mole... there have been days I have not gone outside and woken to the news the next day we had a terrible wind storm. What wind storm? Now that I'm nearing the end I finally understand a little better what I should have been doing all along. Word to the wise: Never leave your music and photo releases until the end. And remember all those admonitions by your editing instructor to "organize, organize, organize?" It's so true but I didn't know how to organize all those gigabites of video clips, project files, photos, etc. scattered over five different hard drives and backups until this week. Slow learner, fast finisher. The goal now is to get it done as well as I can. I realize my visionary product of perfection is just an illusion to block me from going forward. It's my first big feature product (even it it's a short?) I think it's going to end up under 40 minutes. Andrea and Sam are helping me with my press packet and poster. I will be posting new segments, especially trailers. Various road blocks have since intervened to prolong the post-production process, most notably the one called LIFE. I am experiencing the difficulty of keeping going when it seems like you may never finnish. It's been a long hard haul to get to the final draft polishing the narrative script. There has been a lot of historical research put into this project and several return visits to Rock Springs. Tyler and I are on our second rough cut. The animation is done and available under VIDEOS for viewing. Please let me know what you think. Anyone who has the opportunity, should find this a facinating documentary. Congratulations to Jeff Adachi! I'm not going to make any excuses. But I am back on track with some new energy. I have hired Tyler Merkel, a skillful and talented young editor who is on his way up the proverbial ladder of hell and thus needing to upgrade his portfolio. Young Merkel has agreed, aye, even enthusiastically agreed, to come on board for mostly a credit and a great discount in his usual fees. Thank you Tyler! I am learning that the process of making a documentary is like traveling up the various circles of hell. At the very bottom, hiding under the rocks in the pools of fire, are the evil grantmakers and producers who mock the poor documentary filmmaker and forever dangle impossible to reach funds before the delusional hopeful. Flailing in the boiling pools are the lost souls, the documentary filmmakers who have given up and lost their way. The wailing of lost dreams and sunken hopes makes one want to cut off their ears. Then there is the ladder of hell where those true of heart try to steadfastly climb the impossibly long ladder out of hell. 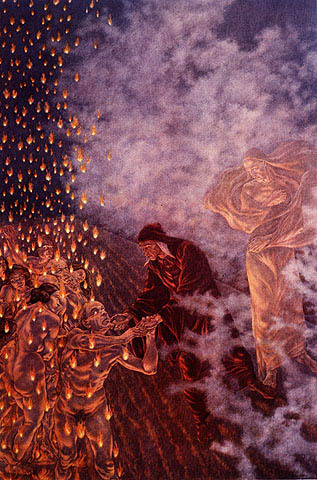 The heat from the flames below make their hands sticky and their feet slip. Tempting treats like rootbeer sodas, trips to the beach, long walks with one's lover in slow motion constantly appear to induce the documentary filmmaker to loosen her grip and in her delusion plunge to the depths below. Sometimes they observe themselves in false mirrors and see only the ugliness of insecurity, failure and worst of all, the truth that their work is boring and pointless. This last has caused many to lose their grip. I have once again escaped the pool of fire and despair and am climbing the ladder again. Wish me luck, folks, and in the meantime take a look at the draft version of the Okamoto Interview. in the videos section. It is 4:23 am and i am just finishing up the second edit of the Tanaka Interview. It feels like I have too much stuff and I really need to focus! focus! focus! 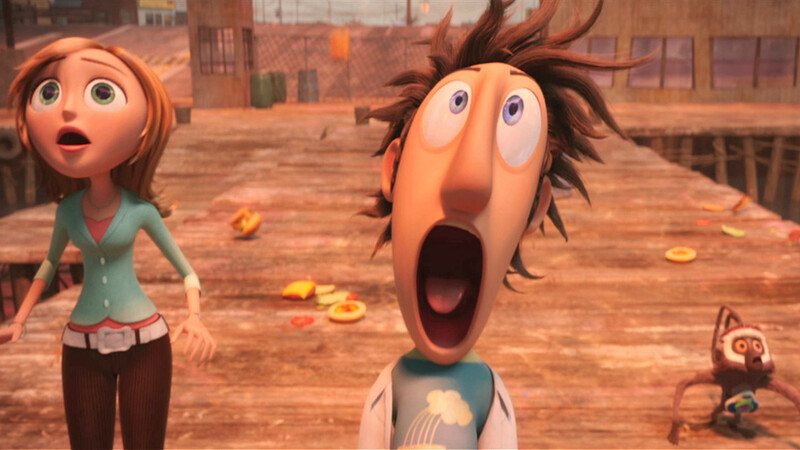 I went to a Boulder Digital Arts class on color correction with FCP and saw "Cloudy With A Chance of Meatballs," in IMAX 3-D, all to distract myself from my editing misery. (1)This is where I had lunch today. It felt like i was on a set for "Happy Days." (1) Rock Springs miner's monument. 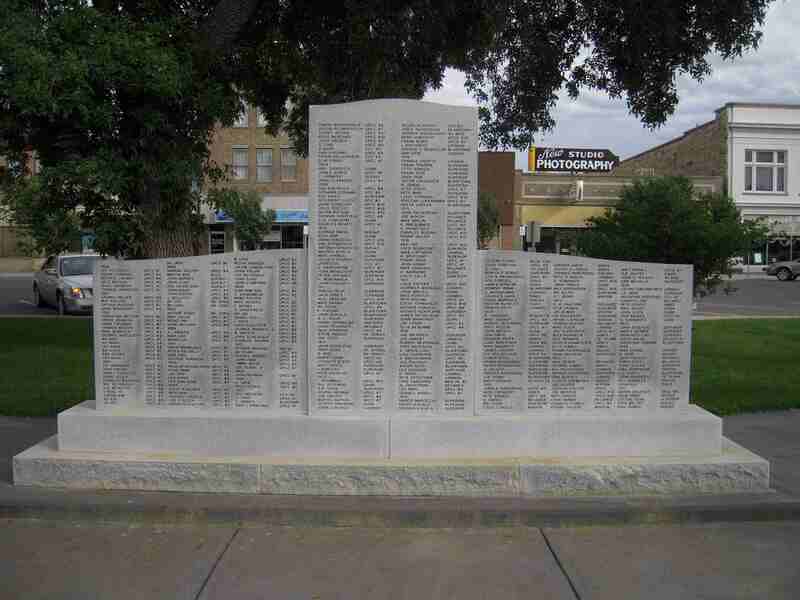 (2) H. Yamasaki is listed on back of monument. In order to be certain this Yamasaki was THE Yamasaki and not just a convenient Yamasaki timewise, I went back to transcripts of my interview with my grandmother in 1983. I found some really interesting facts I had forgotten. First she did give me his first name. She pronounce it as "Hiyakuske." The death certificate says "Hikusuke." That looks more like a match. But the clincher was, according to the 1983 transcript, she told me he died on his birthday: January 28th. 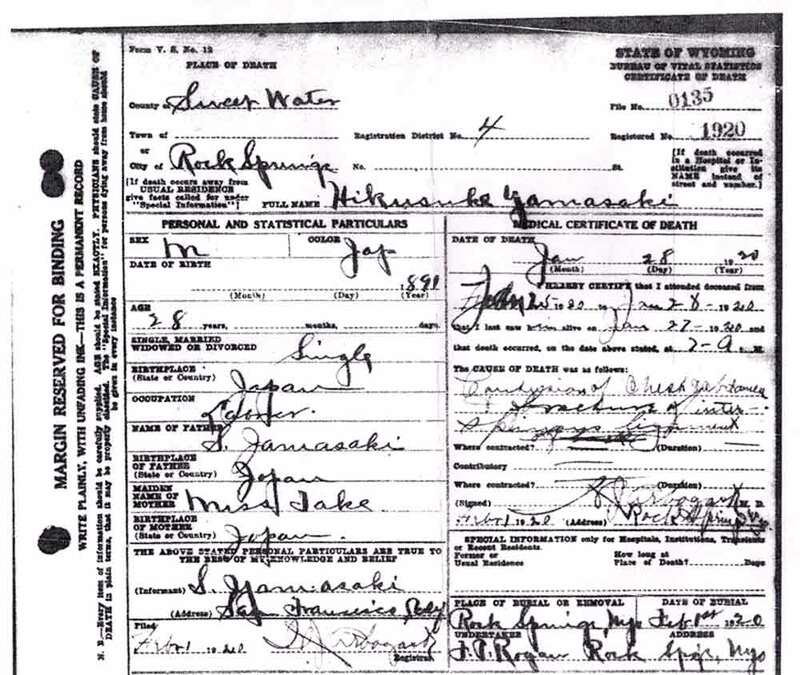 I looked back at the death certificate and there it was-- January 28, 1920!!!! Bingo! He was 29. I also found some other interesting facts and a lot of places in the tape where grandma talks for quite sometime and I don't think my mom translated all of it. I will try to get a friend of mine to listen and help me translate more fully. 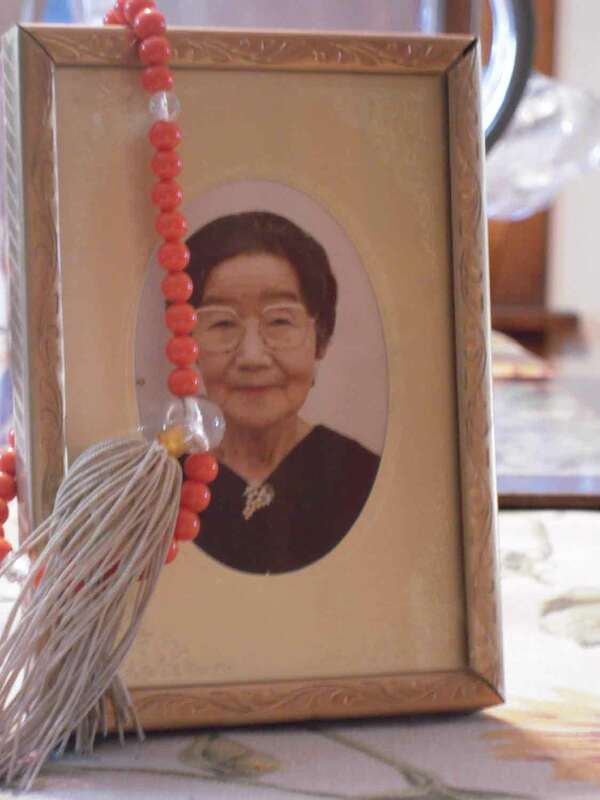 Also, I thought my grandmother wanted me take something of her back to her brother, so I had taken her ojuzu (buddhist prayer beads) but she actually wanted me to bring something of her brother back to her resting place. So, I will be going to Rock Springs again next week to do some library work, pick up Sam, and take more footage. I'll try to bring something back and take it to her the next time I go to Los Angeles. I've almost got a clip from the Tak Tanaka interview which I hope to post soon. This site isn't great for video so I may have to do a utube link...?? Right now I'm obsessing about my great uncle's first name. I was going through some old notes of conversations with my grandmother and found an old stained envelope where I took notes once when talking to her and it says her brother's name was "Yakusuke." This is my representation of her pronunciation. On the Rock Springs death certificate it says "Hikusuke." They are close but there is still a question in my mind. I am going to try to hunt down the passenger lists from entry to San Francisco between 1897 to 1905. If anyone is bothering to read this, I'd like your opinion. My great grandfather's name is too stained to read but it obviously starts with an S and ends in ___hi. 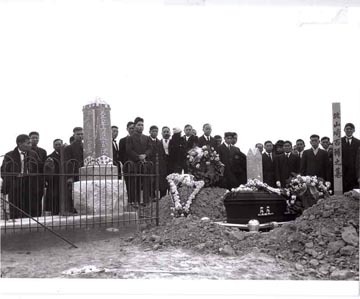 07-02-09 "Another Jap Bites The Dust"
These are people present at the burial. I am surprised there were so many people at the funeral. I wonder what kind of person he was... The gravestone is the same one I saw in Rock Springs when I visited. However, it is difficult to tell if anyone in this crowd looks like my great grandfather. A big disappointment was I couldn't find him in this funeral group shot.. Steve thinks he sees him in the background, but I'm not sure. 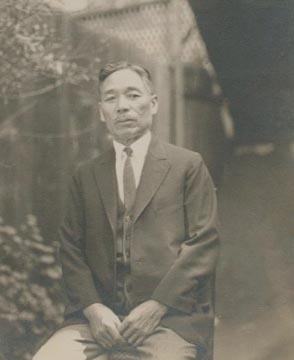 This is Mr. S___hi Yamasaki senior, my great-grandfather, who my grandmother told me went to Wyoming to bury his son (below) who had died in a mining accident. This picture was taken around 1919-1921. 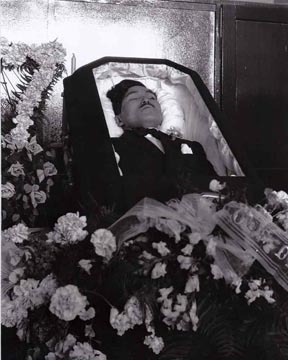 This is my great uncle, Mr. Hiyakusuke Yamasaki, (29) in his coffin (1920) The picture is labeled the "Dead Jap." When I started the documentary I thought it might be a wild goose chase to find his tombstone, let alone funeral pictures! !